I believe strongly in learning through play and focus on the child's natural curiosity of wonder and discovery. I believe that every child needs hands-on experiences, warmth, attention, enthusiasm, and encouragement. Most of all, they need the joy and challenge of doing things for themselves. I believe that parents are the most important significant adults in a child's life. We strive to create mutual respect between parents and teachers. I've developed a curriculum filled with innovative ways to teach developmentally appropriate and varied activities using play-based learning philosophies. As a former preschool teacher l run my daycare with a healthy mix of flexibility and the predictable structure that children thrive on. 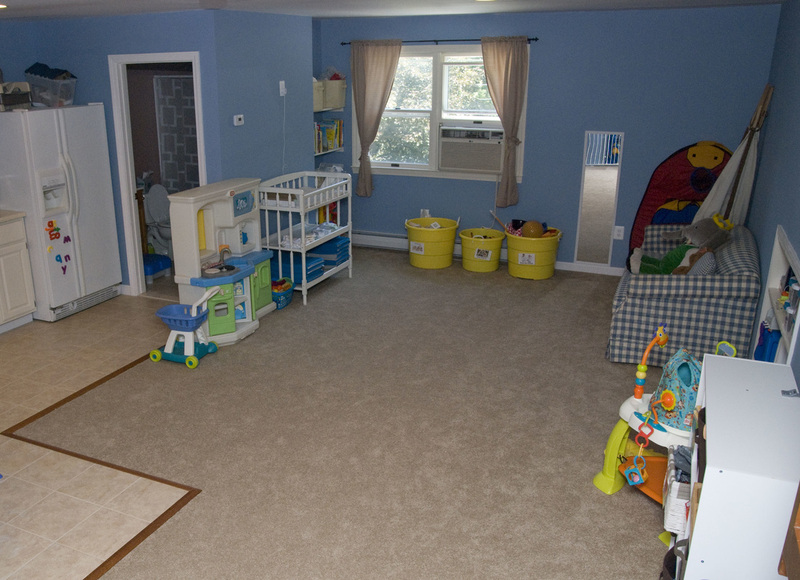 Playroom: There are an abundance of toys for various age ranges. 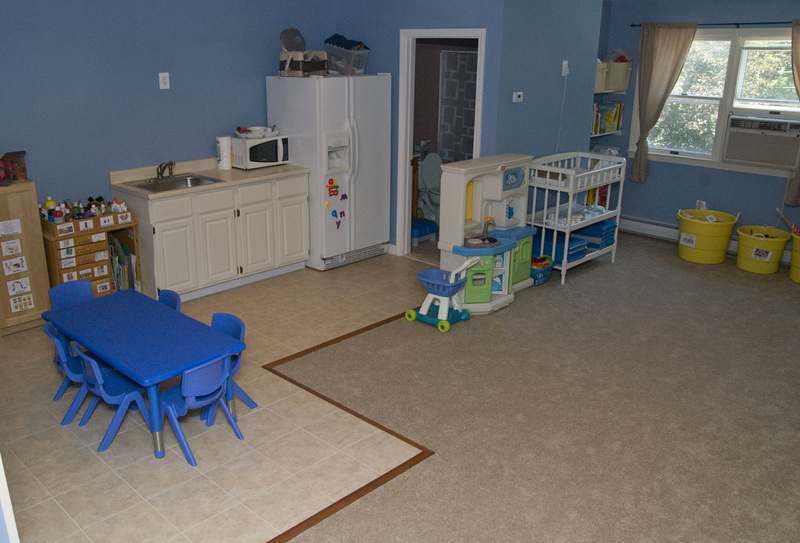 Kitchen/Playroom: More Toys! This is also where we do our crafts, have lunch and nap. 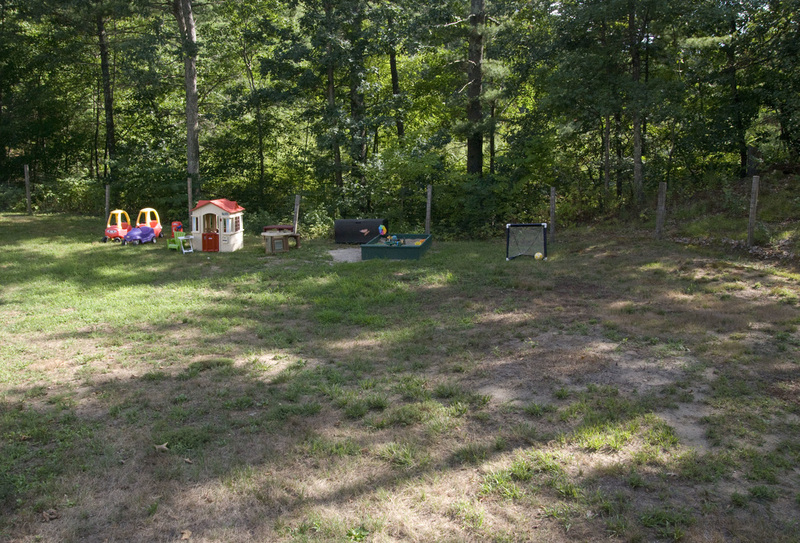 Backyard: Our yard has lots of room for the children to run and play. It is also very private and completely fenced in. There are plenty of toys, including a sandbox!